Yesterday I went to Zara in order to take advantage of the last sales in the shop! I bought something that I need to show you but I won't tell you about it! 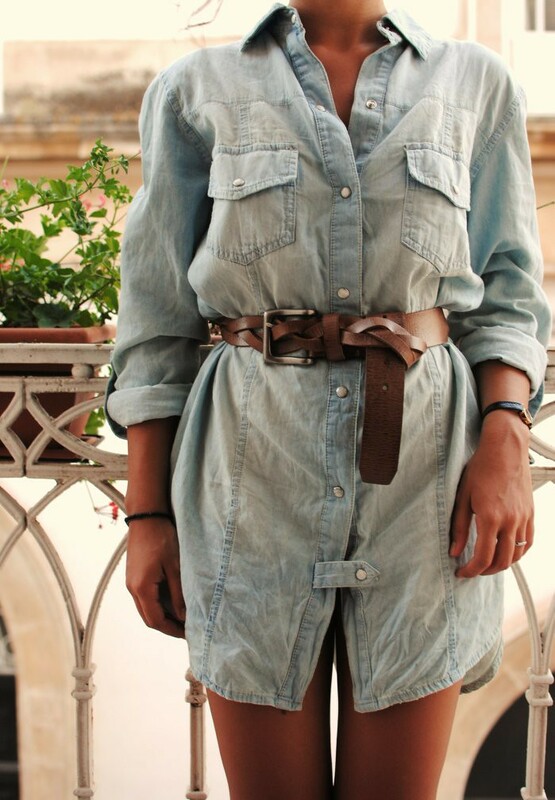 I've just stolen this denim shirt from my sister's closet and I've worn it as a dress with a belt around my waist! The simpliest outfit I could choose for a lovely afternoon with my bf! Niente di che in questo post, ma tanto alla fine stai bene con tutto, molto graziosa. I just bought the same tunic! :) Looks great on you! LA PRIMA FOTO è BELLISSIMA!!!!!!!!!!!!!!! You have grear style and blog! I love the color of ur skin! I am moving to Italy on the 22nd of Sept! Ma che hai al ginocchio destro? C'hai già la pelle aggrinzita? 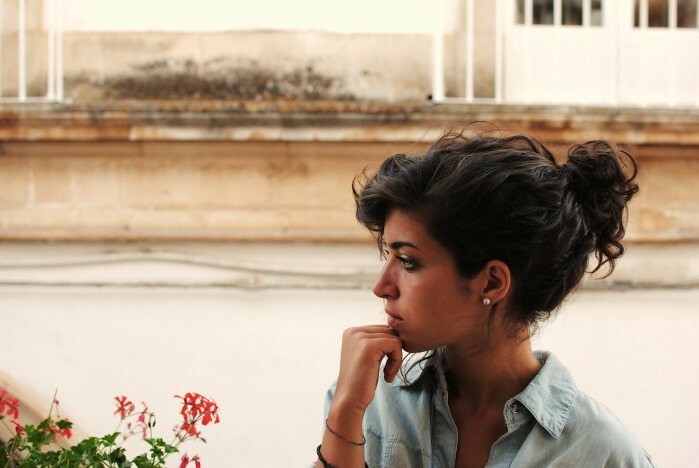 ma tu hai i capelli ricci di natura? Che carina! mi piace il tuo look! 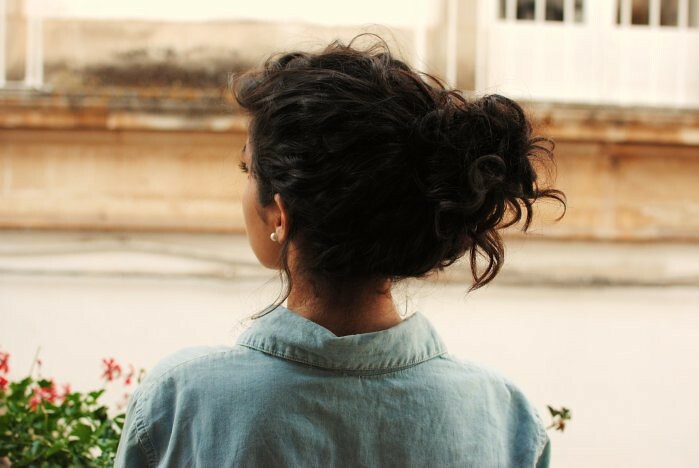 That shirt dress is beautiful & I really love your hair like that! I will also add you to my blog roll Anna! As I love your blog also! Sì, ho i capelli ricci naturali!